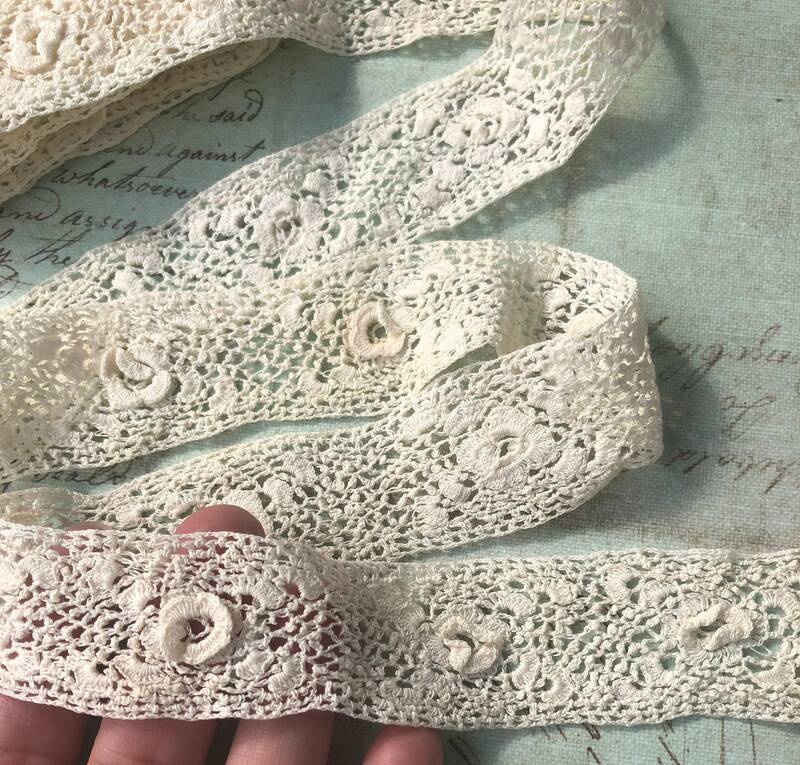 This is a pretty piece of cotton Irish crochet insertion lace featuring raised roses -- a lovely piece! This piece measures 1 inch wide and 1 yard, 22 inches long. This piece is in very good condition, with some minor age discoloration. One end is finished and the other is cut/unfinished.